To Sew With Love and Simplyraising8 have joined forces to bring you this fabulous giveaway featuring handmade products just meant to pamper yourself! 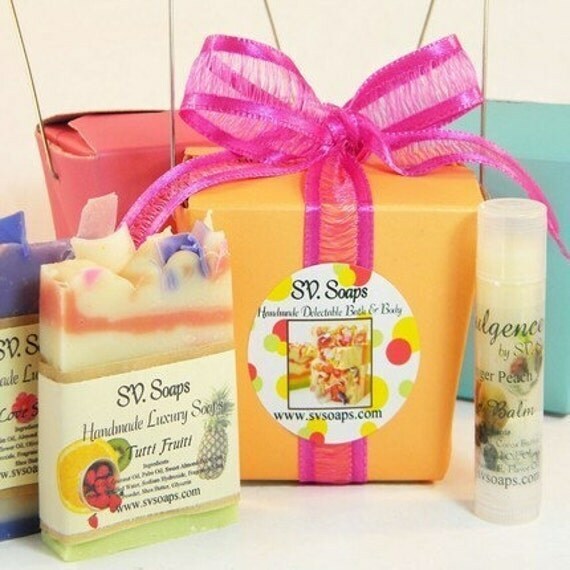 One lucky winner will take home this heavenly handmade soap and lip balm gift set by SV. Soaps. 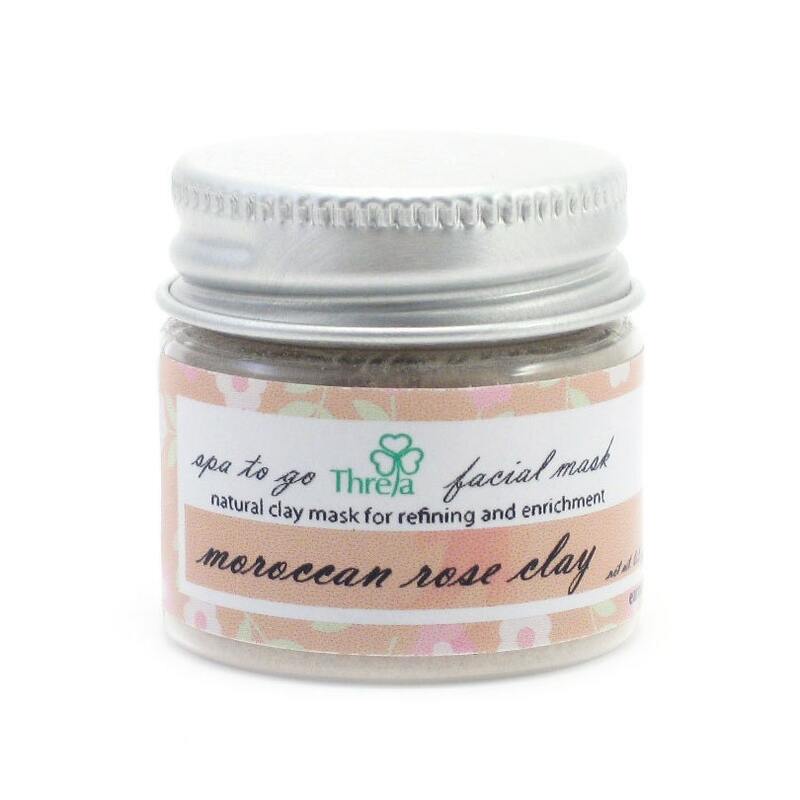 The winner also gets to win this amazing facial mask from Petite Threla. The winner also gets her choice of Organic Facial Toner sampler size from herbolution. 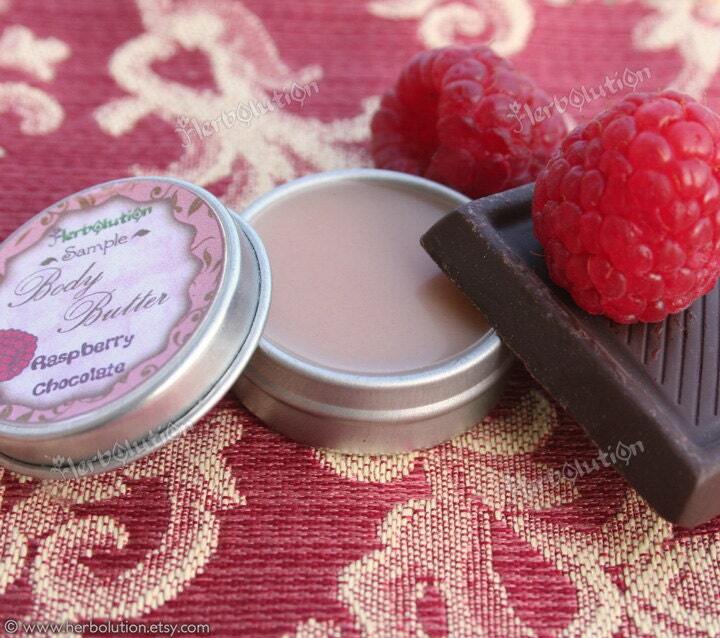 And last but not the least, winner's choice of body butter sampler size from Herbolution. This giveaway is open worldwide to anybody 18+ and has a shipping address (no P.O. boxes). The giveaway will end on April 27, 11:59 AM EST. To win, just fill up the Rafflecopter form below. Winning entry will be drawn via Random.org and will be verified. Good luck, everyone and have fun! 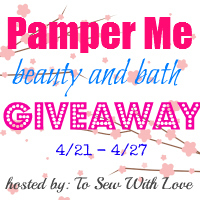 Please understand that To Sew With Love along with the other Pamper Me bloggers are not responsible for sponsors that do not fulfill their prizes. However, To Sew With Love is responsible for contacting the sponsors regarding the winner's prize at the close of the giveaway. We expect that our sponsors will fulfill their prize agreement and ship them to the winners in a timely manner. I won one on The Grant Life awhile ago that was for lipstick that smells like chocolate and matching nail polish. I was pretty happy to win it. I hope you win something. I have been lucky to get quite a few giveaways to take part in lately. I was thinking of getting something else to go along with the Claritin that I have in my giveaway. Maybe a thermometer and some things like that and make a Sick kid kit out of it?